One needs good hands-on experience to flourish in the movie making arena. Hence tools like Windows Movie Maker have always helped video editors (at least once) to personalize their talents. Windows Movie Maker has been labeled as the go-to video editing tool for many videographers since a long time. However, just because Windows Movie Maker has a history doesn’t make it the perfect product for editing videos. There are some software that can be used instead of Windows Media Maker. Some of them are better. Moreover, as Windows has abandoned Windows Movie Maker, it’s the right time to know about other powerful yet free tools and switch to them. 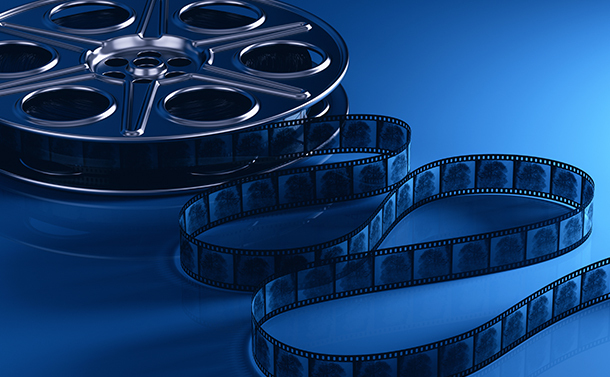 Here’s an article that lists down 6 best alternatives to Windows Movie Maker. Note:- We have considered user as well as expert reviews while creating the list. OpenShot is one of the best alternative to Windows Movie Maker. Let us tell you why. OpenShot is an open source software that is powerful, quick to learn and easy to use. Further, it is far more advanced than Windows Media Maker. OpenShot is an amazing software that is incredibly user-friendly and most importantly, they have a ninja development team that ensures every bug is fixed as soon as it occurs or gets reported. OpenShot supports all image, audio and video formats. It also consists features like drag and drop, cutting, snapping, trimming, clip resizing, real-time previews during video transitions etc. Now add watermarks, overlay images, perform alpha compositing and much more with OpenShot. The software supports image sequences (rotoscoping), drag and drop feature for timeline and frame stepping. Download the latest version of OpenShot by clicking here. Shotcut is a great free windows movie maker alternate that is well designed and possesses similar interface like Windows Media Maker (you will feel it as soon as you click Timeline and Playlist buttons). You can add files to playlist by opening files similarly like in Windows Movie Maker. After getting everything in order, click Filters button > ‘+’ sign to add effects and transitions. You can also add multiple effects like you could in the Microsoft tool and also contain advanced options like Chroma key compositing. You can even create watermarks and titles which look classier than Windows Movie Maker counterparts. As Shotcut is an open-source software, every feature it consists of is totally free. Use the one of the best alternative to Windows Movie Maker by clicking here. Though Avidemux may seem like a basic video editing tool, you will discover that the tool has many more features to offer once you start browsing its interface. You can find preset profiles for various audio and video filters, output devices, subtitles, fades and many modifiable encoding options. You can face some problems when you have content coming from different devices as Avidemux cannot combine video files that have unlike dimensions i.e width and height. You must resize each clip, export it and thus create a new project. Though it’s not a major drawback, creators of Avidemux are working on the deficiency and will positively mend it in the future updates. Elseways, the tool easily combines videos created using the same device. Avidemux is a free great tool that offers clear interface and excellent encoding options. Download this free Windows Movie Maker alternate by clicking here. FXhome HitFilm is the best alternate for Windows Movie Maker if you are an Indie filmmaker. It’s a freemium that collectively includes features of three tools – FXhome CompositeLab, FXhome EffectsLab, and FXhome VisionLab Studio. FXhome HitFilm is a complete video editing package that offers excellent quality visual effects. It uses cutting edge technology to generate unique effects in your video. The revolutionary video editing software integrates compositing and unique video effects alongside non-linear editing. HitFilm offers a complex 3D compositing environment, advanced particle simulation and advanced 3D model animation capabilities. Click here to try this free Windows Movie Maker alternate and its other paid versions. Lightworks is another freemium video editing tool that is considered as an editing powerhouse that delivers superlative speed and flexibility. Lightworks has a history of over 20 years in serving the film industry. The software has been used in some of the most top-notch movies like Shutter Island, Pulp Fiction, Braveheart and many more. Lightworks includes features like advanced trimming, stereoscopic support, and multiple secondary color correctors. Lightworks uses your GPU and produces advanced effects pipeline. Lightworks arguably is the most sophisticated video editing tool in the league. Note:- Lightworks has been awarded with the prestigious Emmy award in 2017. Try the free Windows Movie Maker alternate by clicking here. Last but the important, Kdenlive is a free open-source video editor that is powerful and intuitive. The feature-rich Kdenlive is compatible with almost all video technologies, even the most recent ones. The software is totally free. Click here and enjoy the free software. Every program enlisted here has something different to offer. Therefore, it’s you who can decide which program to choose according to your requirements. However, we guarantee that these programs are the best free alternatives to Windows Movie maker. Probably, these tools are irreplaceable unless our developer community recreates a tool like Windows Movie Maker. Let us know if we have left out your favorite free video editing tool in the comments section. We will add it up in the list. Why Do Organizations Fail To Keep Their Data Secure?